Ever since we started this blog, people have been asking us which of the many direct payday lenders out there have the best and or worst interest rates. Some of these consumers may need quick cash for a financial emergency. But they’re often concerned about horror stories where they heard of interest rates climbing into the thousands! So it’s in their best interest to investigate their options and do all they can to avoid getting a direct payday loan. As we’ve touched on many times there are better options then getting a direct lender payday loan. For example, you should try to get a cash advance from your credit, ask a friend for a cash loan, or just do some odd jobs for quick cash. You can read more about your options here, payday advance alternatives. With that being said, there may be times when you’re only option is to get a direct lender payday loan. In this blog post we’ll do our best to break down what type of interest rates and terms you should expect if you’re in need of a payday loan. Most reputable direct payday loan lenders charge interest rates anywhere from 200% to 600%. At first glance that seems incredibly high and out of control. But there are a few things to take into consideration when it comes to installment lenders. As well when it comes to finding the best direct lenders of payday loans. First of all, it’s in your best interest to pay off a payday loan on the day it’s due. We can’t stress this enough. Many consumers will get in trouble by not paying off a short term advance on the day it’s due and letting the loan “roll over”. You should never let a payday loan roll over past it’s due date. When this happens you’re going to start accruing huge amounts of interest charges. Any finance charge in the hundreds is going to hit you hard. If you’re responsible and don’t let the payday loan rollover you’ll end up paying back roughly $15 for every $100 borrowed. You’re still effectively charged an interest rate of 400% on average. But you paid off the loan by it’s due date and didn’t let the finance charges get out of control. There are other reasons that short term lending interest rates are so high. Mostly because the average direct payday lender takes on risk when issuing a loan. Payday loans have default rates of 20% or more while traditional bank loans are in the single digits. That’s not to say these direct payday lenders funding payday loans aren’t making money. But it’s not as much as you may think when you take into consideration how many loans will end up defaulting. 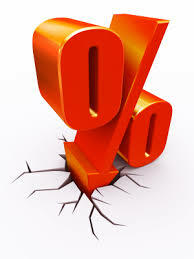 Interest rates on direct lender payday loans can be well over 500%! To answer the original question, “what company that offers direct payday loans has the best interest rates”. We would probably tell you that none of them do if you don’t need a cash advance. On the other hand, if you need financing then all of them have pretty similar rates. But you can usually find a winner by doing your research and talking to the direct lender online. As an example CashNet and Ace Cash Express are usually seen as two of the biggest direct loan lenders around. These two companies have rather similar interest rates at around 500%. Yes, that’s a lot but if you pay back your loan on the due date it’s going to be less than $50 for a traditional installment loan. Also, some direct payday lenders will periodically have coupon codes or holiday specials. With these options you can get a percentage discount on your monthly rates. To summarize, do all you can to avoid getting a direct lender payday loan. If you can get an installment loan or a direct personal loan go with that option instead, as you’ll have lower interest rates and more time to pay back the loan. If it’s an emergency and you don’t have any other options than make sure you go with a reputable direct payday lender that discloses everything up front. Most importantly don’t let your payday loans from a direct lender rollover!. Do all you can to pay the loan off in full on the day it’s due! Looking for online payday loans from a direct lender? We will help you find payday loans direct lenders!